Regular students will know that we believe zombies will be caused by a prion disease, similar to Creutzfeldt-Jakob disease (CJD). But what you might not know is that these prion diseases, as well as being hard to treat, are even harder to clean up. CJD is a good example for us to use here because it comes in many forms. You will most likely have heard of variant Creutzfeldt-Jakob disease (vCJD), often called human mad cow disease, the kind believed to have been caused by people eating meat infected with mad cow disease. Another type is Iatrogenic CJD (iCJD). This is caused by healthcare-associated transmission, (i.e. patients for whom contaminated medical equipment was used or who received contaminated transplants.) Only two cases of this have ever been proven (but more cases are suspected). They involved electrodes that had been placed in a CJD patient’s brain. Once used for this they were properly sterilized and used again, only to transmit the CJD to new patients. 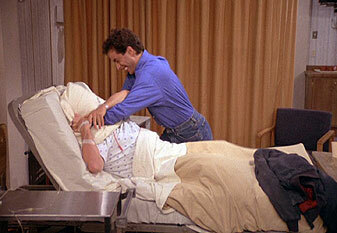 After this was suspected to be happening the same electrodes were placed in a chimpanzee’s brain. The chimp also caught CJD and the link was proven. It is important to note that only certain parts of the body seem to transmit CJD. Areas like the brain, spinal cord and eye have the highest infectious risk. Areas including saliva and bone marrow carry no infectious risk at all. Furthermore some people have contracted iCJD through blood transfusions from infected donors. Never accept donated blood from a zombie, not even if he offers you a biscuit. So if CJD and other prion diseases have a resistance to standard cleaning procedures what options are available to help those working in healthcare to fully disinfect their equipment? Well, prions and prion diseases are notoriously mysterious and unusual in the science world. Methods to disinfect and sterilize them over the past few years have been controversial and cautious. What is clear is that many traditional methods are ineffective for sterilization. Methods like boiling, using dry heat or UV light for example. But it isn’t doom and gloom because some methods, under certain circumstances, do work. A standard way to sterilize equipment is using a device called an autoclave. An autoclave is like a medical dishwasher that uses high pressure saturated steam to clean objects. Used on certain settings it can inactivate infectious prions to a safe level. However the same process could be found to be ineffective due to differing prion concentrations, exposure time, temperature or a multitude of other factors. But this applies mainly to those of us working medically with prion infected zombies. What about our Flora’s question? If you’ve just bludgeoned a zombie’s skull in and spread infectious brains all over the shop, what should you do? What are you moaning for? I'm the one who has to walk home alone. Pick an out of the way, secure location to beat up your zombie. This should be somewhere that is only used for zombie slaying (e.g. not in your bedroom). That way you can ensure the infectious stuff stays there. 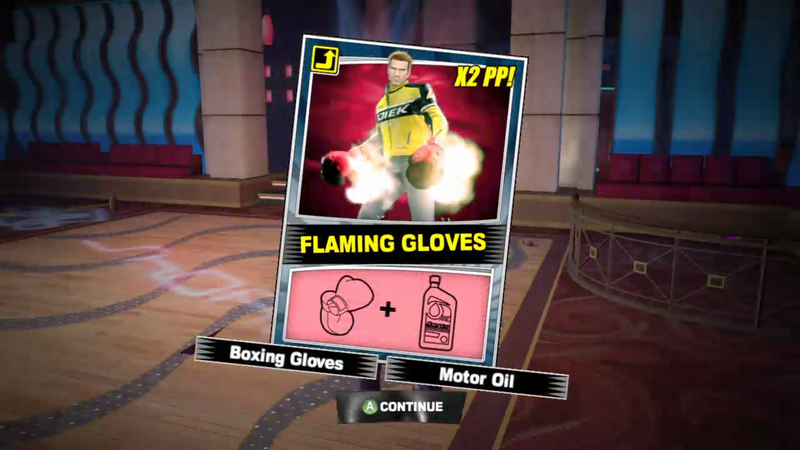 Gloves (doubling optional) should be worn for handling blood and body fluids. If you anticipate your zombie being a squirter add in some gowns, masks and protective eyewear. Don’t forget to keep this kit in your location and always leave it there. No popping it on for parties when you can’t be bothered creating a Halloween costume. So in conclusion, there are many ways in which you can attempt to clean up prion zombie infected mess. 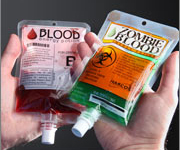 However much of the equipment, chemicals and practical skills are not likely to be in great supply or easily accessible if a zombie outbreak occurs, therefore the best solution is careful avoidance. If unfortunately you are forced to kill a zombie try and use a non-splattering style. Remember unlike fictional zombies real zombies do have to breathe so put down that pick axe and pick a pillow, you’ll quickly find yourself smothering your way to safety. I ain't paying for a home Mum...ahem...I mean take that Zombie. Thanks to Flora for her question and remember keep your Zombie Science queries coming our way because in the fight against zombies the greatest weapon is knowledge, and crossbows, but mainly knowledge. The sheeple might as well be zombies at this point. I want to say a big thanks to Doctor Andre Armstead of USA for helping me cure me of my Brain disease. Brothers and sisters, Nath Luth is my name and I live in Texas USA. Few years ago I had a car accident and my brain was affected I was rushed to the hospital the doctor did his check and said I don’t have any internal injury in my brain but just that I was emotionally fragmented and for that reason I lost memory of what happened. But sometimes I sleep at night and I see in dream how I got the accident. But when dawn if am asked how it happened, I can’t say it. It continued like that and I found myself very forgetful. Doctor gave me medicines like Diuretics, Anti-seizure drugs, Coma-inducing drugs, to some extents the drugs helped but later on it stop helping me and as a result of this, I was fully diagnosed of schizophrenia (Brain Disease). Doctor said my problem was same with a variety of brain disease like salience syndrome, Psychosis, susceptibility syndrome, Asperger's Syndrome, Lemierre syndrome, Stevens Johnson Syndrome, Steele-Richardson-Olszewski syndrome, vascular dementia, CJD, mad cow disease, PTSD, encephalitis, panic disorder, OCD, ADD and a lot more. So i and my family became very afraid because doctor said I would die with it. My Immediate younger brother is an ICT officer he is always on the internet. So he came home and said he read about a herbal doctor called Doctor Andre Armstead who have used his herbal medicine to cure so many people of various diseases. So he copied out the contact details of the Dr and he contacted him. He emailed him, and explained to him what I was passing through but Dr Andre promised him that he will cure me of my brain disease and I will be totally cured for life. So he made the arrangement with Dr Andre, and he prepared the herbs from Washington and shipped it to us in Texas. So I followed his instructions on how to take it and behold it worked for me just like a magic, and totally cured me of my long suffered brain disease, and today I am totally cured of my brain disease. Please if you are out there suffering from any kind of brain disease, or you know someone suffering from it, I urge you to contact Dr Andre immediately and get your cure. His contact details are (doctorandreaarmstead@gmail.com) and his phone number is +1 (617) 663-8926, Thanks. I am happy because today i am a living testimony. i want all here to know how i was cured of my CJD. i was diagnosed of CJD some months back. And my health begins to deteriorate gradually. It got to the extent that the symptoms was now all over my body. i have spent thousands of $$ in search for a cure but my doctor keep telling me no cure. i almost gave up. But on a very faithful day as my daughter was browsing on the internet, she saw someone who testified of how a herbal doctor by the name Doctor Ehidiamen cured him of his disease with the use of herbs. So she tried to get in contact with this doctor, and after she explain to him, he assured her that he can cure me of my CJD. He gave me the steps to follow, i followed it and he prepared the herbs and send it to me in USA. i took the mixture according to his prescription and behold it worked perfectly for me. Today i am happy to say i totally cured of my CJD and my family is happy together again. Please i want you all suffering from CJD, or other brain related problem to also get cured just as i was cured. for this reason i want you all to contact the herbal doctor Ehidiamen. His email is email is: doctorehidiamen@gmail.com and his phone number is +2348146942481. Just explain to him what you are passing through and get his counsel and treatment. Thanks to you all.